Troy Michigan District Court Judge Kirsten Nielsen Hartig is a graduate of Traverse City Senior High School and Michigan State University (James Madison Honors College). She was chosen as one of six students nationally to be selected to intern at the White House during the administration of President Ronald Reagan. Judge Hartig received her law degree from the Washington College of Law at the American University and graduated in the top 5% of her law school class. Judge Hartig was an Assistant Oakland County Prosecutor for six years and co-founded the Domestic Violence Assault Unit. After leaving the prosecutor’s office, Judge Hartig was in private practice for 14 years, specializing in criminal and traffic law. What makes Troy Michigan District Court Judge Kirsten Nielsen Hartig so effective on the bench in criminal matters is that she has served both as a prosecutor and a defense attorney. She understands a criminal case from both sides. This is invaluable for a person charged with a crime to be before a Judge that has actually “been there” representing similarly situated people. Judge Hartig will listen to both sides of a case and give a full and fair evaluation to each. A defendant should not assume, just because Judge Hartig is fair, that she is not a tough judge who can and will impose jail as a sentence for a misdemeanor or violation of probation. In many case, it takes thorough preparation, creative planning and a highly persuasive argument to keep a client from being incarcerated in her courtroom. This is the type of representation a client can expect from the criminal defense team with LEWIS & DICKSTEIN, P.L.L.C. Troy Michigan District Court Judge Kirsten Neilsen Hartig is not afraid to make tough, legally supported decisions. In 2013, Judge Hartig invalidated a portion of the Michigan Motor Vehicle Code for equal protection reasons. The decision related to driving while “under the influence of a controlled substance”, specifically marijuana, because of the Michigan Medical Marijuana Act. It is was clear to Judge Hartig that there were two classes of people subjected to the controlled substance provision of our motor vehicle code. One group of drivers have medical marijuana cards and are permitted to have THC in their blood stream while driving, so long as the level does not impair their ability to drive. The other group of drivers has no such marijuana card and are strictly liable for operating a vehicle with any amount of THC in their blood. 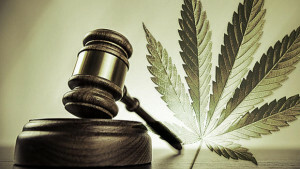 In her ruling, Troy Michigan District Court Judge Kirsten Nielsen Hartig relied on a case from Georgia that stated the effects of legally used marijuana are indistinguishable from the effects of illegal marijuana consumption: the driver is still buzzed under either set of circumstances. Therefore, no rational public safety interest is served by creating these distinct classes of drivers thus, the equal protection clause of our Constitution is offended. The case that Judge Hartig decided is in the process of being appealed, so no final decision has been reached. Kudos to Judge Hartig for making a fair and reasonable decision and not being afraid of adverse publicity. LEWIS & DICKSEIN, P.L.L.C. has a tremendous amount of respect for Troy Michigan District Court Judge Kirsten Neilsen Hartig. This does not mean that the firm is successful every time its attorneys appear before her, but it always means that the firm’s clients will be given a full and fair hearing. Judge Hartig has a well-deserved reputation for making decisions that are well reasoned and intelligent. The attorneys of LEWIS & DICKSTEIN, P.L.L.C. are lucky enough to have known Judge Hartig before she became a Judge and can unequivocally state that she was a first rate attorney. She was always well prepared and zealously represented her clients. She has transferred that work ethic to the bench. The cities of Troy and Clawson are lucky to have her as their District Court Judge. Lewis & Dickstein, P.L.L.C. is a premier criminal law firm practicing in Troy, Michigan and can effectively assist with all of your criminal law issues — defense, probation violations, expungement and more. LEWIS & DICKSTEIN, P.L.L.C. was founded on the principal that no person shall face the criminal justice system and the power of the state and/or federal government without assistance. The 6th Amendment to the United States Constitution states that a person has the right to counsel when facing criminal charges. LEWIS & DICKSTEIN, P.L.L.C. believes this protection is paramount to a functioning society. The firm takes its obligation to give people an opportunity for a full and fair hearing extremely seriously. As such, the firm’s attorneys have an unparalleled track record of successes in state and federal court’s throughout the United States. When a Judge and/or prosecutor sees an attorney from LEWIS & DICKSTEIN, P.L.L.C. enter a courtroom they know that the attorney is well prepared, will zealously represent the client, and is there to win. 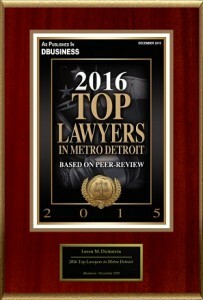 The firm’s attorneys command respect from the judiciary, colleagues and former clients. If you are facing any criminal law issue, or need questions answered, please call LEWIS & DICKSTEIN, P.L.L.C. at (248) 263-6800 for help or complete a Request for Assistance Form and one of our attorneys will contact you.